Many of today's commercial buildings feature durable, attractive carpets to ensure proper comfort for customers and employees. For these floor coverings, the primary cleaning challenge occurs in areas with heavy foot traffic, sometimes on a round-the-clock basis. 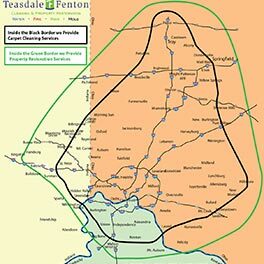 It can be difficult to clean carpets in well-traveled areas, but Teasdale Fenton meets the challenge with encapsulation, a unique low-water cleaning method that minimizes wastewater and allows your carpets to dry much faster after cleaning. 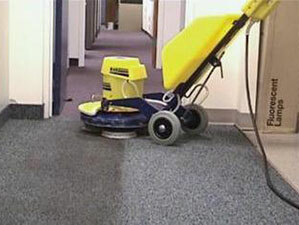 Our low-water cleaning option will protect professional-grade carpets from everyday wear-and-tear issues, along with spills, dirt, dust and debris. When you face a water- or fire-related disaster, Teasdale Fenton has emergency teams ready to help any day, any time, seven days a week. We’ll respond within an hour to get your situation back in order with and minimize downtime. Whether it is cleaning smoke damage or performing a water extraction, our team will work tirelessly to return your property to its original condition or, perhaps, even better. Our certified technicians deploy state-of-the-art equipment and procedures for fire damage and repairs, smoke damage restoration and water damage services. 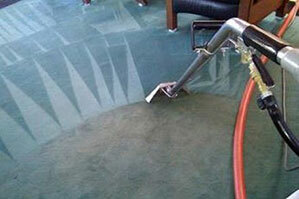 Teasdale Fenton has partnered with the renowned Butler truck-mounted system to perform commercial, high-scale carpet cleaning jobs. 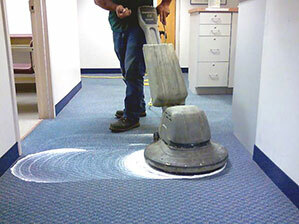 Our low-water, encapsulation cleaning services are ideal for your business environment. When you need our services, contact us online or give us a call at 937-600-6717 to get a free estimate or to learn more about our top-notch commercial cleaning services for our customers in the Dayton, OH area.